My wife decided that the old stockade fence had to go. 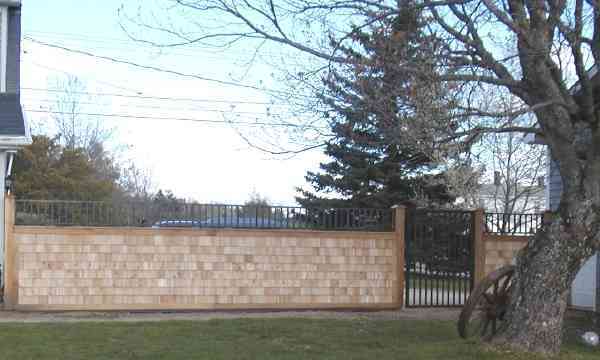 She saw a fence much like this in some fancy-schmancy Homes and Gardens-type magazine and decided we simply MUST have it. I started with 4x6 pressure treated posts set a minimum of 4' in the ground to prevent frost heave. The holes were dug with a backhoe to give me room enough to make sure everything was straight, square and plumb. The long side of the fence is 20' long, and for aesthetic reasons, I did not want a post in the middle. 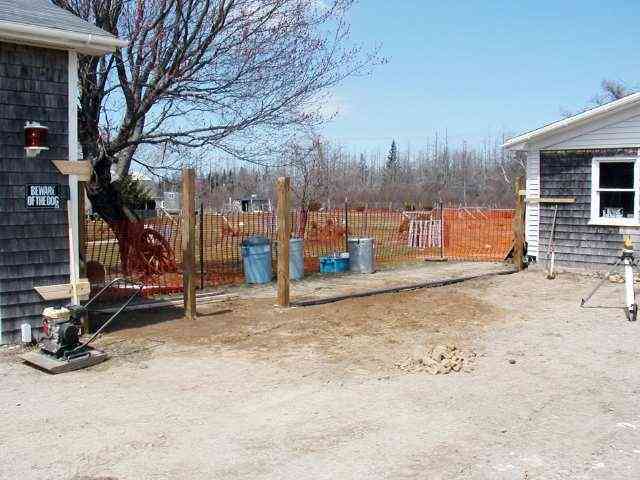 To prevent the fence from sagging under it's own weight, a 4" x 1/8" C-channel was fastened to the bottom of the posts. The center of the channel is supported by a 4x4, also 4' in the ground. A piece of pressure treated 2x4 was bolted to the C-channel with galvanized carriage bolts, and then a 2x4 stud wall was framed up and nailed to the PT. 7/16" OSB was used to sheath the wall. Finally, everything was trimmed with red cedar, finished three sides. It was installed rough side out to match the cedar shingles. The gate is 16 guage 2x2 square tubing frame, with 1x1 square tubing for the center. 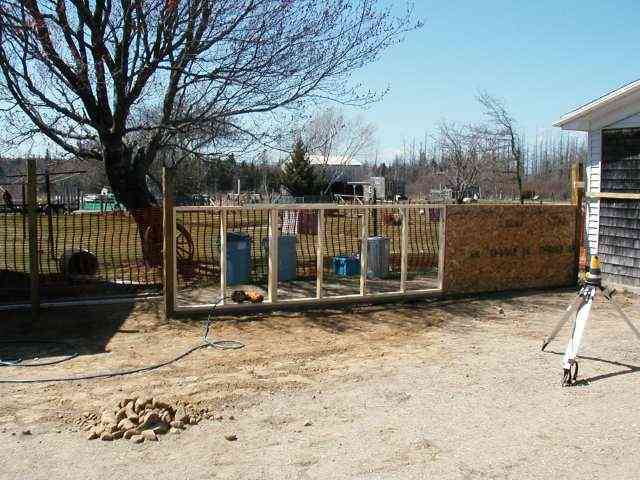 The top fence is all 1x1 square tubing.